American Medical Sales and Repair (AMSR) and Oxygen Concentrator Store are excited to announce that the Respironics SimplyGo Mini Portable Oxygen Concentrator is now FAA approved! The Resprionics Mini is the one of the smallest portable units approved by the FAA. 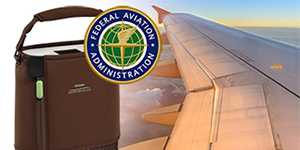 American Medical Sales and Repair (AMSR) and Oxygen Concentrator Store are excited to announce that the Respironics SimplyGo Mini Portable Oxygen Concentrator is now FAA approved! With the Federal Aviation Administration’s approval patients can now bring their SimplyGo Mini on all commercial flights within the United States and all international flights that depart or arrive in the U.S. It is suggested to contact the designated airline prior to a flight to confirm any requirements they may have for allowing a portable oxygen concentrator on board. "The Resprionics Mini (http://www.oxygenconcentratorstore.com/respironics-simplygo-mini/) is the one of the smallest portable units approved by the FAA." said Nick Vannatta, Lead Oxygen Specialist at American Medical. With more than 20 years experience in the industry, http://www.oxygenconcentratorstore.com/ one of the largest web-based providers of oxygen concentrators. AMSR provides the highest quality service available. Their mission is to help the customer get the best product for the best value when renting or buying an oxygen concentrator, as well as by providing the best on-going customer care.